Lovely photo! That lake is incredible and well worth the effort expended to get to it. :) Especially those waters so crystal clear you can see right down to the very deep bottom. How do you get the sky to show up in the photo and not just as white glare? I love taking snaps with my automatic camera (far from being a pro or anything, but I want to learn) and that's always my problem. whoa! cayangan! it was once recognized as the cleanest and greenest lake in the whole country. i really miss my hometown. 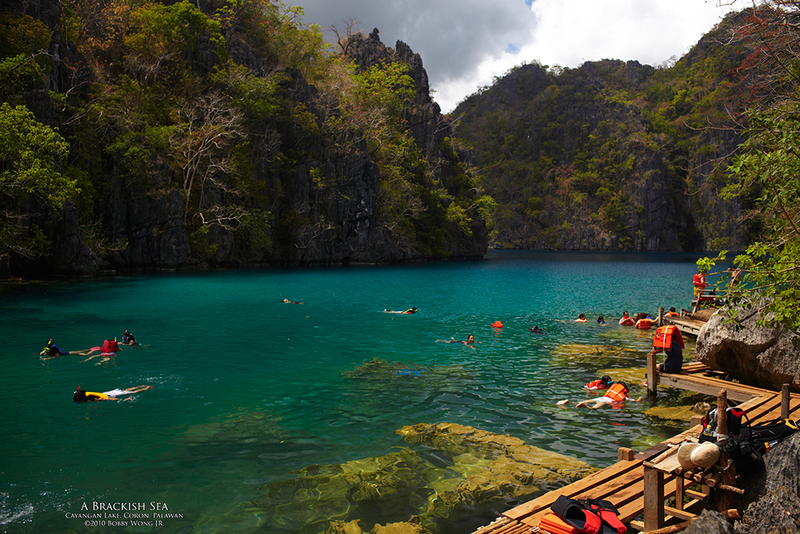 im from coron, palawan. Bob, as always, your pictures inspire. So where is our next expedition? I am back from Europe and its time to go. When's the next long weekend? just gorgeous. sorry, i don't read what you type i just drool over the images. Fascinating information about a sea with an underwater freshwater spring. Though, of course, it's the fantastic color of the water that's truly amazing.